Water is medicine and adventure is transformative. When we cast aside our reference points and dive into something completely new, we can see who we are, feel who we are, with deeper clarity. The true journey of any grand adventure is ultimately an inward one. As you’ve likely heard, the young artists of Northwest Passage have spent the past three summers submerged in Wisconsin’s rivers and lakes to photograph a story of otherwise unseen magic and beauty. Their award winning photographs have been celebrated in exhibitions, presentations, magazine articles, and videos. 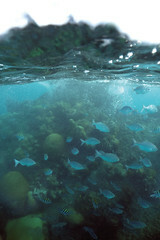 Imagine, if you will, snorkeling alongside the kids in their “home waters” of the St. Croix National Scenic Riverway: maneuvering in the cool, swift waters; peering through the dark currents in search of fleeting shots of timid fish. 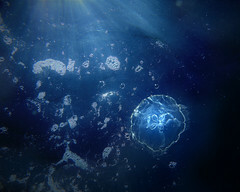 Now imagine an aquatic world as different as possible from the rivers of the north. 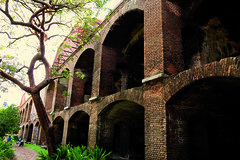 You’re probably imagining a place much like Dry Tortugas National Park. 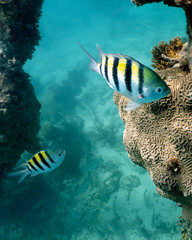 Dry Tortugas is a tropical paradise of crystalline waters overflowing with life. 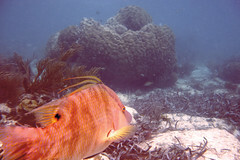 This tiny cluster of islands 70 miles by boat from Key West, Florida is an underwater photographer’s dream. 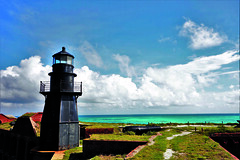 Overlooking these waters is Fort Jefferson, an immense pre-civil war era sea fortress and one of the largest masonry structures in the western hemisphere. 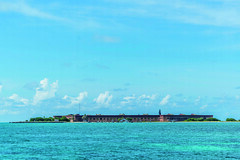 Fueled by the generous funding and guidance of the National Park Service Submerged Resources Center (SRC), the National Park Foundation, the Richard Parrish Foundation, and the staff of Dry Tortugas National Park; Jaden, Jonathan, and Johnny—three of our all-star program alumni—brought their unique artistic vision to these exotic waters last month. 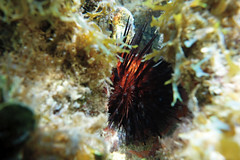 With the guidance of world-renowned underwater photographer Brett Seymour of the SRC, they spent a week capturing the essence of the islands. Joining Brett and the kids were program leaders Toben LaFrancois, Ben Thwaits, and Austin Elliott, along with retired NPS diver Bob Whaley, and filmmaker Jesse Placky, who was working with Curiosity Stream to film our experiences. Our adventure had one additional companion. Throughout our trip, Hurricane Matthew was stalking several hundred miles to the east. While we were extremely fortunate that our itinerary carried on as scheduled, Matthew’s high winds occasionally forced us off the water or limited our snorkeling to the lee sides of islands. But despite these challenges, the photographers discovered magic. It was a week immersed in a Neverland of coral reefs, giant groupers, and shipwrecks patrolled by packs of barracudas; of sun and salt and sweet sea air. 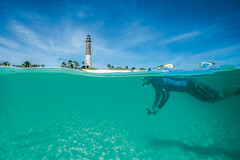 But Johnny, Jaden, and Jonathan also discovered a deeper layer of Tortugas magic, as it quickly became apparent that this expedition was about far more than just underwater photography. 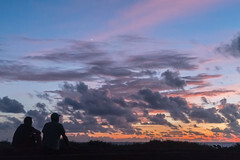 The Tortugas experience was about connecting deeply with incredibly generous and talented National Park Service mentors, guides, and leaders, whose passion for this place was inspiring, and who made us feel embraced and at home in a distant land. 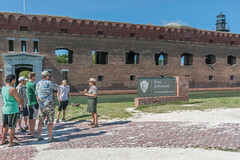 It was about living within the rich history of Fort Jefferson, which NPS historian Kelly Clark brought to life for us. 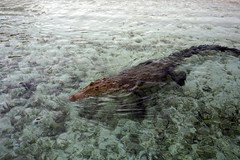 It was about night skies of unmatched brilliance, delicious red snappers on the end of our line, and a crocodile named Carlos who seemed to bond with our team. On my way to Dry Tortugas, I had so many ideas of what he place will be like, but I completely underestimated what it would be like. When it was in seeing distance of the fort, I was amazed by the size of it. it looked like something in a movie. Living here felt like a dream. Walking around the fortress and learning about all the history made me feel honored to stay in such a beautiful historic place. Being in Dry Tortugas has been such an amazing experience, and it has been everything I’ve been needing. It was really good to cut away from the world and be somewhere new. Seeing all this amazing life and being able to capture photos of it has been an experience of a lifetime. 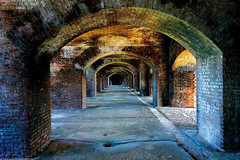 Dry Tortugas is an amazing place. It is simply one of the most beautiful places on earth. It is still hard for me to believe that I was there. You might be able to look this place up on google, but when you see in with your own two eyes it will all change. This place has so many things to do. 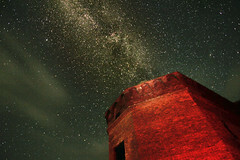 Anyone who will ever come to this fort will fall in love at first sight. I still try to come to reality that there is a place like this on earth. This place can change you in a good way. It made a lot of things in life make sense to me. 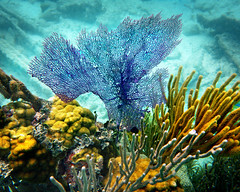 The Dry Tortugas National Park is astonishing to say the least. 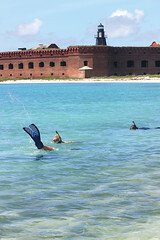 Above the surface is the old Fort Jefferson which in itself is amazing, but under the surface is where the real beauty is. 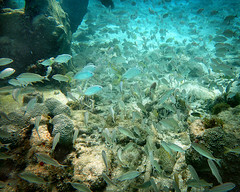 There’s a vast array of fish that are colorful and tropical. I’ve never seen any animals that are so colorful and diverse. 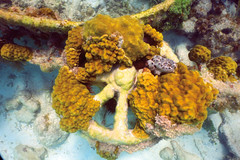 Along with the fish are the breathtaking coral reefs. 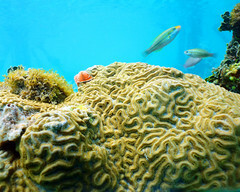 The coral reefs are the center of activity for the fish. 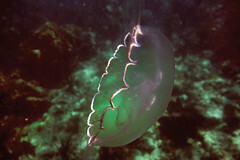 It looks as if it’s straight out of a fish tank or something out of the movies. 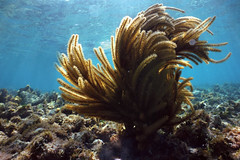 It’s actually hard to put into words what’s under the water in the Dry Tortugas, so that’s what photographs are for. This experience was overwhelming, in a good way. There was so much to take in and everything was so new to me that I was at a loss for words being a part of the expedition. The trip really has proven to me that good things do come out of negative situations. It was by far the most astonishing thing I have ever done. It has also made me feel extremely grateful towards Northwest Passage organization and the National Park Service that I was able to experience these things. Thank you all for the work you do, and thank you especially to the students for sharing your perspectives, experiences, and great talent with the world! I am a devoted fan! Thank you, Jessie! We really enjoy hearing from people who appreciate our kids’ perspectives and talent as much as we do! 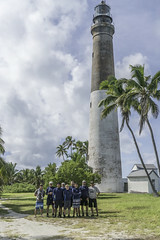 It was such a pleasure to meet all of you guys while at the Dry Tortugas. 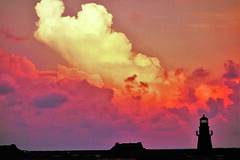 Your photographs are amazing!!!!! I loved reading about how you experienced this beautiful place and your words make you all wise beyond your years! Looking forward to doing it again. Thank you, Kelly, for everything you did for the kids during their trip! You helped to make the experience something they could have only imagined before. Thank You all so much for everything you do! Wonderful experience for young men to use their knowledge in creating visions for the rest of us. Well done! I really enjoy following your art. Thank you for the kind words, Kathy! We are so grateful to have you following the kids’ art. You help inspire them to continue to create those visions through their photography and build their confidence in their art.